The Monthly Handicap is a long-standing regular feature of the Club's programme. Run on the last Thursday of every month, though this changes occasionally in December, the handicap has a chasing start with the slowest competitor off first, with following runners having timed handicapped starts based on their best recent time. 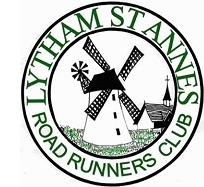 There are two courses, a winter town route of 3.45 miles and a summer rural course of 4.35 miles and also an annual points competition for those who wish to take part in the handicaps year round. We have a very sociable Jacob's Join after each handicap in the bar at the YMCA. To see the routes follow the links below to MapMyRun. The 2018-19 Championship will commence on Thursday 26th April, back on the 4.35 mile Summer Handicap route. The new spreadsheet for this year's competition can be found below. The new baseline start time is earlier at 18:15 from this year. Since Bill started organising the Handicap races he has been maintaining a PB list for all ladies and men, irrespective of whether they were club members or guests. Below are shown the twenty fastest ladies and men and their times. Something for us all to aim for?